With beach season around the corner (hopefully), we are all trying to perfect our ‘beach bod’. And even though we seem to be putting in the hours, we still can’t get to the point where we want. Now why is that? The number one reason is probably that most of us are eating like crap. Hoping for a perfect body while eating McDonalds every day is like trying to become a billionaire by staring at a wall. In order to lose weight, we need to burn more calories than we are taking in, and we should make sure that they are “good” calories…nutrient-dense calories. I’m sure you’ve heard it a million times but looking good all starts in the kitchen. And remember to drink more water! In a study done the Centers for Disease Control and Prevention, it proves that nearly half of Americans do not drink enough water daily! Drinking water has endless benefits and is so easy to do. If your diet isn’t the problem, maybe you are being too simple with your workouts. Add weight to your workouts, or get off of the floor when you do your workouts. Adding resistance to your workouts is what stimulates your muscle fibers and really promotes the growth you are looking for. Exercises that require you to be more mobile and utilize a full range of motion will strengthen your stability and balance abilities rather that if you are laying flat on the ground. Try using medicine balls for the extra weight during your usual core workouts or try some new ones like these. Remember the importance of cardio. Cardio is left out in a lot of people’s weekly workout routines. Cardio doesn’t have to be boring or dreadful either. Play a sport you enjoy with some friends if that’s what you like. Join a club that will keep you active or start walking every morning. Anything that will burn calories and get your heart going will be beneficial to help you achieve the ‘beach bod’ you are looking for. Another thing that can be hurting you is overdoing your core workouts. Even your core needs time to regenerate and rest. Doing core workouts ever single day isn’t going to help the process. On the days that you aren’t doing core, go for a run instead. Now you also have to realize that like anything, progress takes time. You cannot expect huge results after only a week. Patience is a virtue, especially when in comes to something like working out. Don’t give up. Eat clean. Work hard. Drink lots of water. Starting off in a small city of Hawaii in 1978, the IRONMAN has grown to become one of the most challenging and well-recognized triathlons there is. 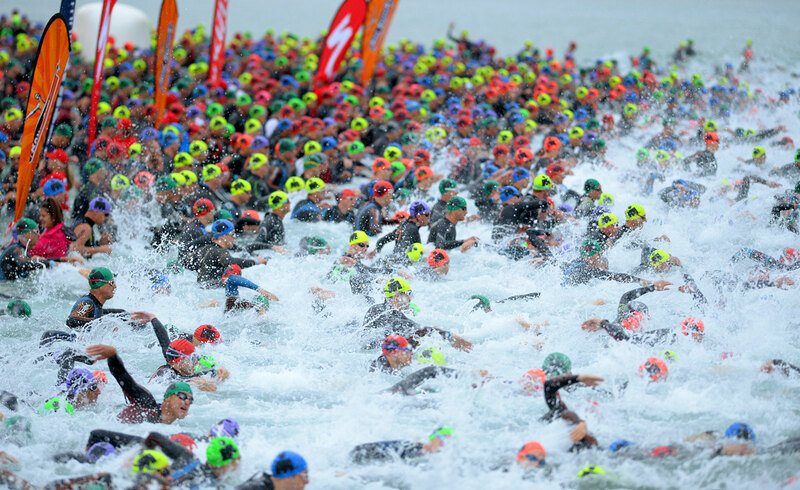 Founded by John Collin and his wife, the IRONMAN originally started as a challenge to decipher which athletes were the toughest; the swimmers, the bikers, or the runners. Today, it has grown into an international event that is open to anyone willing to take part. The IRONMAN consists of three parts. There is the 2.4 mile swim, the 112 mile bike ride, then the 26.2 mile run. Seeing that written down on paper can be extremely intimidating, but the IRONMAN website not only has training tips to get you ready, as well as nutritional guidelines to keep you on track. According the IRONMAN official website, 40% of the people who register for the IRONMAN are first time competitors. So if you’re someone who is hesitant to register because of fear of striking out, don’t be! You’re not alone out there. Another excellent way to get prepared for the IRONMAN is to try an easier version of it. There is an IRONMAN called IRONMAN 70.3 that is the same events as the original IRONMAN but shorter. The swim is 1.2 miles, the bike ride is 56 miles, and the run is 13.1 miles. This is still a challenging trek, but it may be the starter triathlon that you are looking for. If both of those options still seem a bit overwhelming, you could also check out the indoor IRONMAN. Currently, there is an indoor IRONMAN being hosted right here at Whitewater in the William’s Center. All you have to do to register is fill out a short survey monkey. 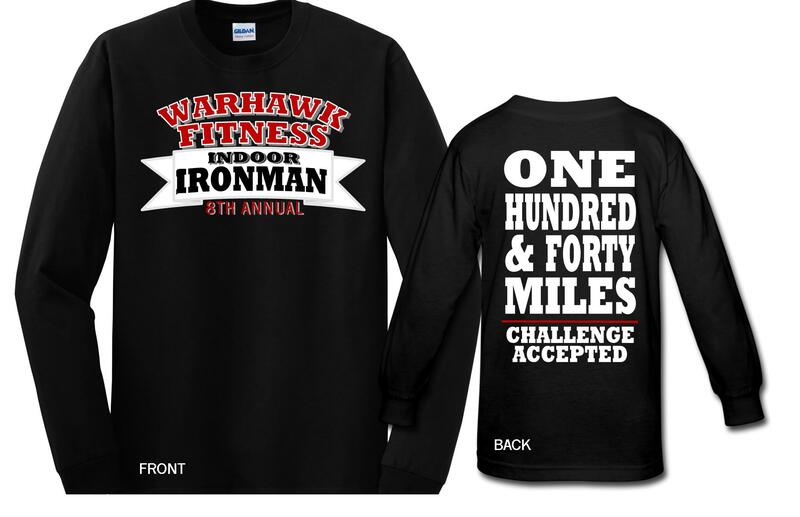 For the Warhawk Fitness Indoor IRONMAN, each person has from March 31st- April 30th to complete the 2 mile swim, 112 mile bike ride, and the 26 mile run. The only catch is that the whole event must be completed indoors in the William Center or University Fitness Center, thus being the Indoor IRONMAN. Even though the challenge is limited to inside, the intrinsic and external rewards are reason enough to sign up! Each individual who completes the Indoor Ironman will receive a FREE long sleeve shirt that has the IRONMAN logo printed on it. If you want to work on a team, you have that option, too! You can sign up for the Indoor IRONMAN as a team of 3 people, and will each receive a Warhawk Fitness water bottle. It’s not too late to sign up! In fact, a lot of our participants finish in well under 30 days. Besides the awesome prizes, you get to have the satisfaction of completing an IRONMAN. If at any point while reading this you have thought that maybe it would be fun to give the IRONMAN a try, do it! There’s no harm in trying, but never trying may be selling you short. You can find more info about the official IRONMAN event here or the Warhawk Fitness Indoor Ironman here. Getting sick of sitting indoors and the terribly cold winter that we’ve had? Me too, but it’s finally getting warm enough to spend some quality time outdoors and reap the benefits of fresh air and the sun light. What are the benefits you ask? Well let me tell you a few! Fresh air makes you smarter! Well not quite, but the oxygen in fresh air helps brain functions and helps you use more of your brain. Studies have proven that being outside for a certain period of time can help prevent ADHD, too. Helps clean out your lungs. Inhaling fresh air helps clean out your lungs and allows for you to take deeper breaths. Which also allows for you to consume more oxygen into your body with your deeper breaths. Better Sleep! Who doesn’t need better sleep? Giving yourself some time outside to relax, soak in the sunlight and breathe outside air can help your body make it through the day without being tired and also help you fall asleep faster at night. Vitamin D. Fresh air will not give you this, but catching some sunlight rays will help get your daily dose of vitamin D. About 15-30 minutes of sunlight will usually do the trick. Vitamin D can help your bones form properly and can help reduce your risk for multiple bone diseases. It is hard to find good quality fresh air. If you live in a city or even in a small town around a factory or a lot of cars, the quality of air can be less than if you were in a forest surrounded by oxygen rich trees and plants. In order to really benefit from fresh air, try and get out to a park or somewhere that is clean and full of trees and plants!